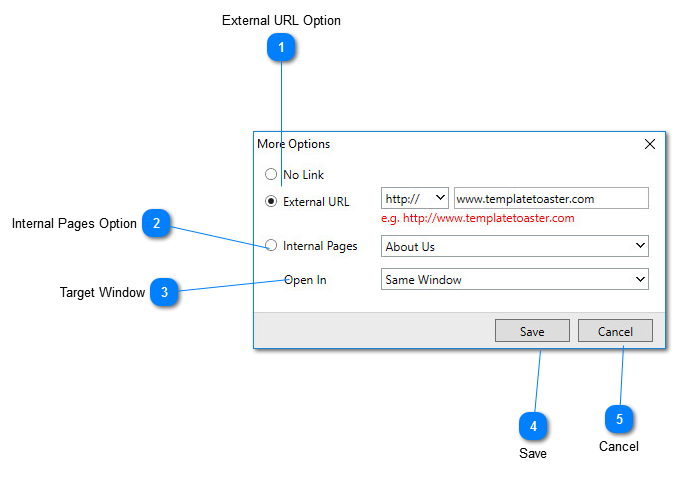 Select this radio button and specify the external URL to which you want to link the selected text. Select this radio button and then choose the page, if you want to interlink the internal pages. Specifies the target window in which the link should open.